Students at Bobby Duke have the opportunity to join AVID or AVID Excel as an elective class. Both programs support developing students' academic vocabulary, writing skills, reading strategies, and organization skills. 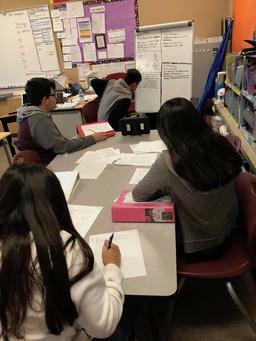 Teachers use researched based strategies to reinforce and support students' learning in all content areas; social studies, language arts, math, and science classes. 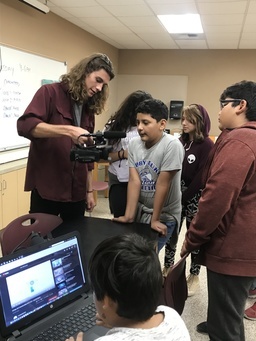 In addition, AVID and AVID Excel focus on providing students with learning experiences that involve students practicing communication skills, collaborating with others in small groups, critical thinking skills, and creativity. Here students are in their "Scholar Group," presenting a point of confusion in a text that the students read in class. Beginning Monday, February 4th during both lunches, students at Bobby Duke will have the opportunity to show their talents! Bobby Duke's ASB is organizing its first Talent Show. Try outs will be held during both lunches. 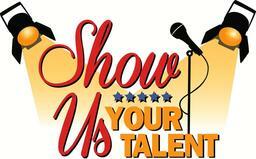 Students who would like to participate in the Talent Show will have one minute during the try out to "Show their Talent!" We are looking for any and every talent... singing, dancing, acting, comedy, and more! Encourage your student to attend a try out during their lunch starting Monday, February 4th through Friday, February 8th! Throughout this school year, Bobby Duke's after school ASES program has supported our students learning with enriching experiences. Bobby Duke's ASES Coordinator, Mr. Rodriguez, organizes field trips for our Falcon students to attend on the weekends or during school breaks. 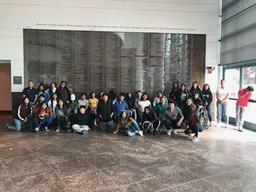 Field trips our students have attended this year have been to the Museum of Tolerance, UCLA Basketball games, Aquarium of the Pacific with a one hour Harbor Tour, and more! If you are interested in the ASES program or have questions about upcoming field trips, Mr. Rodriguez can be reached at Bobby Duke Middle School (760) 398-0139 between the hours of 4-6 PM. 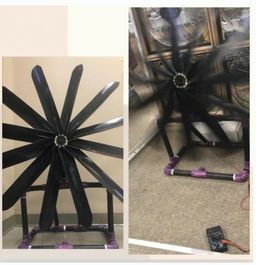 Read more about Wind Turbine Design Winners!